What is Checked Exception in Java Programming language. 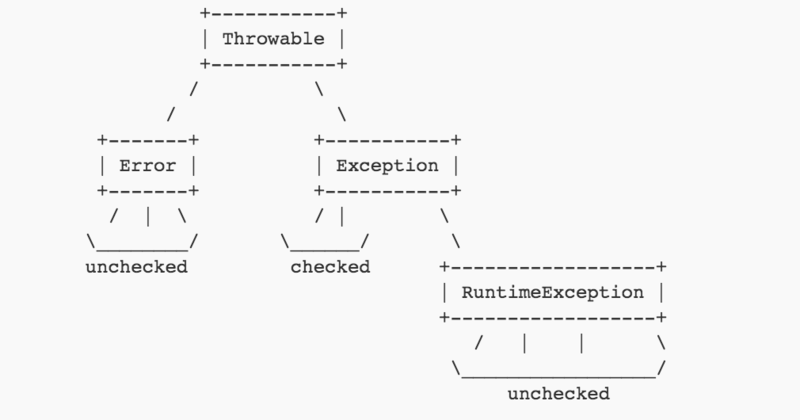 In simple language: Exception which are checked at Compile time called Checked Exception. Some these are mentioned below. If in your code if some of method throws a checked exception, then the method must either handle the exception or it must specify the exception using throws keyword. In below example we are going to get contents of site “Crunchify.com” and print it in console. During this operation, Java Program will throw MalformedURLException or IOException at below highlighted lines. There are two ways to solve this. Add throws clause OR Add Try, Catch block to your code to solve it. Here is an updated code. // TODO: Consume and Throw an error with detailed message. Unchecked Exception in Java is those Exceptions whose handling is NOT verified during Compile time. These exceptions occurs because of bad programming. The program won’t give a compilation error. All Unchecked exceptions are direct sub classes of RuntimeException class. Simple Example: You have created online form which accepts user input. It’s free text form. Use may enter any wrong value in case of email field, or user name field OR phone number field. If you don’t have validation at client side then there are more possibilities to get Runtime Validation Exception while running application in production. Error may throw by DB operation or converting field from one format to another. The one most annoys me is NullPointer Exception. I’ve written a detailed article on NPE last week. There are total 8 different tips provided to avoid NPE. In Java 7, you could handle multiple Exceptions in single Cache block. You could change line 13 from above line changed to below. As a summary, Both Checked and Unchecked Exception are handled using keyword try, catch and finally. In terms of Functionality Checked and Unchecked Exception are the same. How to Retry Operation n Number of Times in Java?